The Southland Section is an active section of around 79 members, based in the far south of New Zealand. 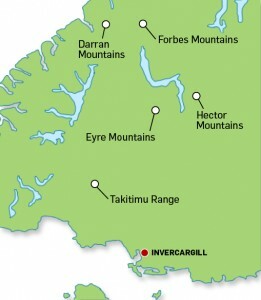 Section members consider their backyard to include Fiordland, Takitimu Mountains, Eyre Mountains, the Forbes Mountains (Mt Earnslaw) and the Hector Mountains (The Remarkables). Winter ski-touring is also to be had close to home. 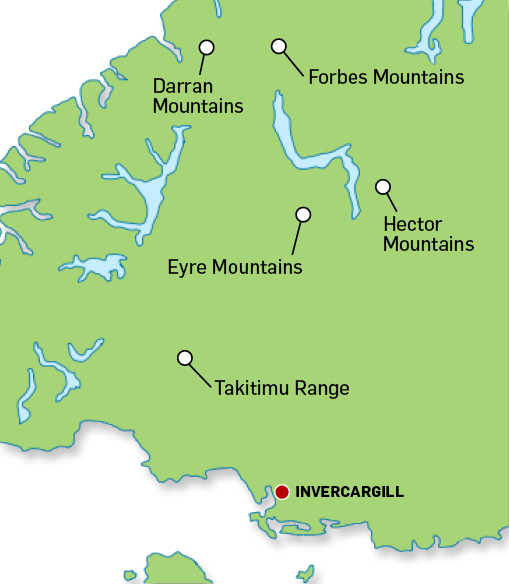 The Southland Section is an active section of around 92 members, based in the far south of New Zealand. The Southland Section warmly welcomes members and others to their Section evenings. Meetings are held on the third Tuesday of every second month as advertised in the section newsletter (see the bottom of this page) at 7:30 pm. Non-members are warmly invited to come along and join us. The Southland Section has recently reinstated basic snowcraft courses, held in Winter. Regular team training evenings and weekends are held throughout the year. Newcomers to the mountains and Southland, are welcome to attend. There are a few perks to be had from belonging to the CR Team and it’s all good fun.